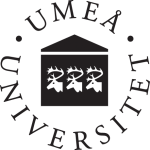 Umeå University has research and education in a number of areas such as the humanities, social sciences, medicine, odontology , teacher training, technology, science, art and design. We are one of the largest education universities in Sweden and offer a wide and attractive range of programmes and courses, as well as a appreciated study environments. There is also strong, top international research, in areas such as aging and population research, infection research and plant and forest biotechnology. Researchers at Umeå University, Sweden, in collaboration with an international team, have discovered a new mechanism for interaction between two proteins that are vital for the Yersinia pseudotuberculosis bacteria’s pathogenic ability. Water color is getting darker in lakes across the planet. This phenomenon, known as “browning,” was anticipated to cause widespread declines in fish populations. A new study by researchers from Umeå University finds that the number of fish populations impacted by browning is smaller than previously believed. DNA in lake sediment forms a natural archive displaying when various fish species colonized lakes after the glacial period. This according to researchers at the Department of Ecology and Environmental Science at Umeå University in a study published in the journal Methods in Ecology and Evolution. Climate warming reduces the number of plant species in the tundra, but plant-eating animals, such as reindeer and voles, can turn this negative effect into something positive. The results of a study coordinated from Umeå University in Sweden are now published in Nature Communications. Åsa Strand, Stefan Björklund and Martin Rosvall, all researchers at Umeå University, have been awarded 35 million SEK from the Swedish Foundation for Strategic Research for a five-year research program on systems biology. The interdisciplinary project aims to map how plants react to abiotic stresses such as drought or extreme temperatures. Good timing is vital in many situations of daily life, but is rarely something we consider. In a new dissertation from Umeå University, Olympia Karampela shows that our ability for timing is something that can be trained and it seems to be connected with our cognitive capacity. For the first time ever probably, plants modified with the “genetic scissors” CRISPR-Cas9 has been cultivated, harvested and cooked. Stefan Jansson, professor in Plant Cell and Molecular Biology at Umeå University, served pasta with “CRISPRy” vegetable fry to a radio reporter. In the new EU project AQUACOSM, twelve European countries will be synchronising their studies on the effects of climate change. Research using large experiment facilities – mesocosms – will be the common denominator in the project. Umeå Marine Sciences Centre at Umeå University will play an important role in the project.